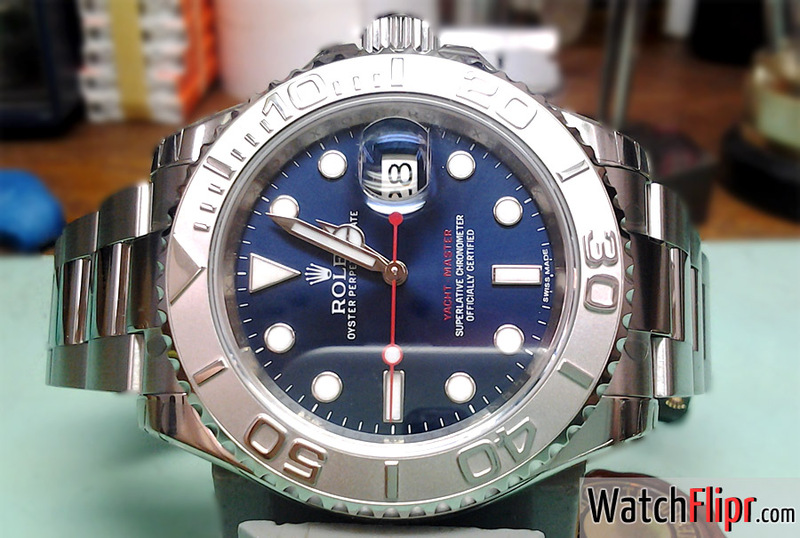 The new blue sunray dial Yachtmaster introduction from last Baselworld show has just started to arrive in the States. 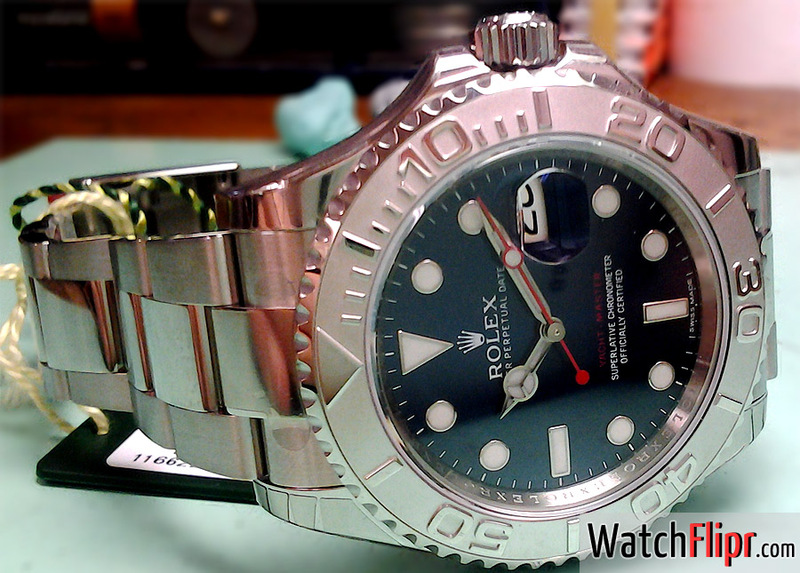 The basics are all there including the 40mm case, platinum bezel and 904L steel everywhere else. Some of the new stuff includes an excellent, upgraded bracelet and an “entirely rethought” bezel now with 120 bi-directional clicks. The Yachty is also still available with the sand-blasted platinum dial, but the new blue is lovely with great contrast to the platinum bezel. We love this timepiece at Watch Flipr. All the best components of Rolex are there on display. Everything works in conjunction perfectly. The highest quality steel, platinum, Parachrom hairspring… what more could you ask for in a sport model? This is a go getter, and a keeper. I love the blue but think they should have made it sand blasted like the plat instead of sunbeam.